I am told that in the Orthodox Church, when someone gets divorced, because it is the breaking of the covenant of marriage, they must go without taking Communion for a certain amount of time. After which time, a letter is written to the Bishop or Metropolitan or whoever that explains the situation in order to get permission to go back to taking Communion. The reason and purpose, I'm told, is not that it's some kind of punishment, but rather to be a time of healing. That does seem a bit counter-intuitive to me, being that the Eucharist is supposed to be for the healing of soul and body, and divorce would be one of those times where you specially need healing of the soul. Except that I imagine one who must go so long without the Eucharist could form the kind of longing and respect for it that we should all have every Liturgy. When, how, and why did this rule originate? I hope I'm not misrepresenting the Eastern Orthodox position, but I'm assuming it's the same as the Catholic. If not, let me know. Disallowing the divorced the Eucharist is not a specific thing. A priest is not allowed to give the Eucharist to anyone he knows is living in a state of mortal sin. It's simply that divorce is a mortal sin (Luke 16:18), as well as remarrying. 1 Corinthians 11:23-31 (DRB) For I have received of the Lord that which also I delivered unto you, that the Lord Jesus, the same night in which he was betrayed, took bread. 24 And giving thanks, broke, and said: Take ye, and eat: this is my body, which shall be delivered for you: this do for the commemoration of me. 25 In like manner also the chalice, after he had supped, saying: This chalice is the new testament in my blood: this do ye, as often as you shall drink, for the commemoration of me. 26 For as often as you shall eat this bread, and drink the chalice, you shall shew the death of the Lord, until he come. 27 Therefore whosoever shall eat this bread, or drink the chalice of the Lord unworthily, shall be guilty of the body and of the blood of the Lord. 28 But let a man prove himself: and so let him eat of that bread, and drink of the chalice. 29 For he that eateth and drinketh unworthily, eateth and drinketh judgment to himself, not discerning the body of the Lord. 30 Therefore are there many infirm and weak among you, and many sleep. 31 But if we would judge ourselves, we should not be judged. 32 But whilst we are judged, we are chastised by the Lord, that we be not condemned with this world. You see St. Paul teaches that you cannot receive the Eucharist whilst you are in a state of judgement, and to be punished for receiving it. Certainly living in a state of "adultery" (Luke 16:18) falls under this category. To my mind, now that is a usual penance for the guilty party. If the person is not guilty in the divorce, e.g. he did not conduct adultery or other deed that caused the divorce, he is not given a penance. But anyway, that is not "automatic", not that a person divorces and stops taking Communion by himself, that should be given by a spiritual father during Confession. He may give another penance, e.g. to read Canon of Repentance for some period of time. Mathew 19:9: And I say unto you, Whosoever shall put away his wife, except it be for fornication, and shall marry another, committeth adultery: and whoso marrieth her which is put away doth commit adultery. Canon 48: (my translation) "If a lay person expels his wife and takes another, or takes the one expelled by another, let him be excommunicated". Rule 87: "A woman who has abandoned her husband is an adulteress if she has betaken herself to another man, according to sacred and divine Basil, who most excellently and aptly extracted this item of knowledge from the prophecy of Jeremiah, which says that “if a wife transfers herself to another man, she shall not return to her husband, but by polluting herself she shall remain polluted” (Jer. 3:1); and again, “Whosoever hath an adulteress (as his wife), is foolish and impious” (Prov. 18:22). If, therefore, a woman appears to have departed from her husband without a good reason, the man deserves to be pardoned, while the woman deserves a penance. The pardon shall be given to him so that he may have communion with the Church. Any husband, however, who abandons his lawful wife, and takes another, according to the Lord’s decision, is subject to the judgment attached to adultery. It has been canonically decreed by our Fathers that such men shall serve a year as weepers, two years as listeners, three years as kneelers, and during the seventh year shall stand together with the faithful, and thus be deemed worthy to partake of the prosphora if indeed they verily repent with tears". Not the answer you're looking for? 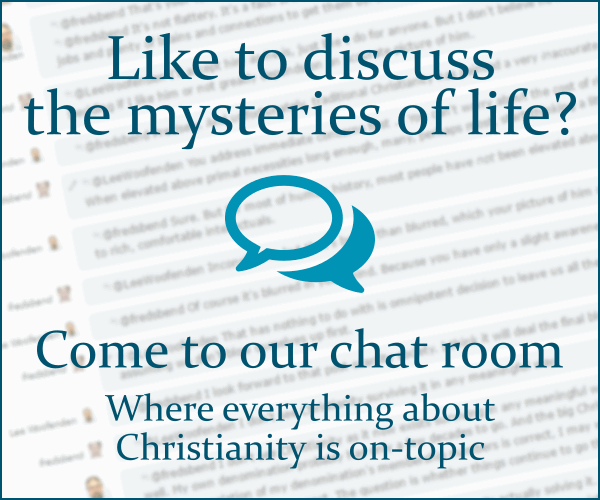 Browse other questions tagged eastern-orthodox communion divorce or ask your own question. What is the theological basis for readmitting a Protestant preacher to preaching after divorce? Where did the Petrine title of “First Among Equals” originate?